Are you tired of looking at your outdated space and you need some inspiration on how to freshen your home? We can work with you to design a space that is more current and trendy while offering more open space, natural light, comfort, and beauty to your home. Adding new architectural lines to existing rooms by changing windows, doors and walls, can give you just the refreshment you need. We can also update a room by adding shiplap, crown moldings, board and batten, pallet boards, barn siding, floating benches or shelves, or other creative materials. Complete the look with fresh paint and trim colors and you will be surprised at the new feel of the room! The possibilities are endless! Expanding your existing home with an addition is also something we can help you accomplish. We will dream with you for that master bedroom, master bath or that larger kitchen or great room/family room that you always wanted for hosting family gatherings and entertaining. 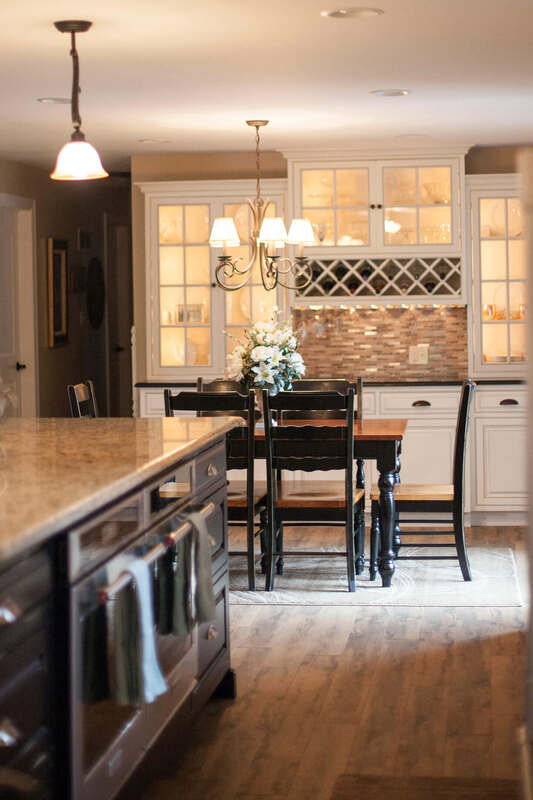 Kitchens are the heart of the home, and making a kitchen more open by removing one or two non-load bearing walls will take away that 70s and 80s boxy feeling. 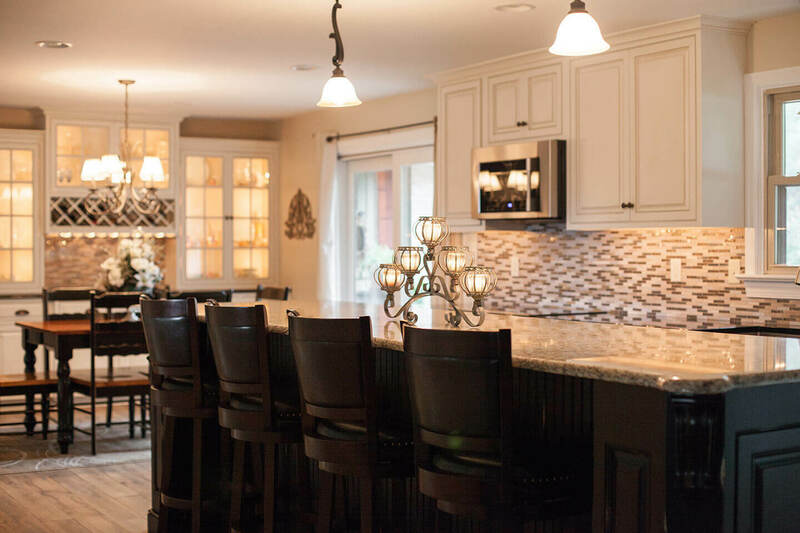 You can achieve a brand-new look with the installation of new cabinets or painting existing cabinets, new tile or glass backsplash, granite or stone countertops, new hardware and lighting. Trendy additions such as a beverage center with wine refrigerator, a farmhouse sink, or stainless range hood could take your kitchen to the next level. After a long day at work, come home and disconnect from technology. Retreat to your master bathroom with a new soaking tub and walk-in tile shower. Add sliding barn doors between your master bedroom and bathroom. Or add a two-sided fireplace between bed and bath for a cozy atmosphere in both rooms. Go crazy and add radiant heated floors or towel warmers. Who doesn't love the look of a new gas fireplace with built-in cabinets. It's perfect for entertaining and for cozy nights at home with the family. The possibilities are boundless for your newly renovated basement. Add a gas fireplace with built-in cabinets, a bar area, and a game table. We keep you comfortable in your home throughout the renovations process. We take measures to keep the dust and dirt contained to the work area, and clean the work area at the end of the day. We will handle all aspects of the construction for you.